This month we'll release some features related to the data recorded from the GPS of your drivers' phones. First, we'd like to remind you what check-in, check-out or service time mean in SimpliRoute? Keep reading! 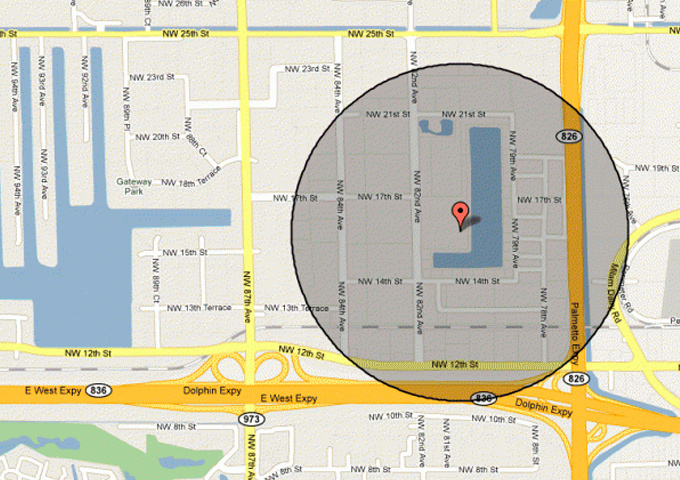 It is recorded based on the GPS data of the cell phone when your drivers are near the delivery location. The time is recorded at the time when the vehicle enters a perimeter of about 300 meters around the location. Check-out is when drivers mark the visit complete or incomplete on their phones. A A check-out time will be recorded. It is the time raging from the arrival at the delivery point to the departure.. Before, this data was calculated taking the time of check-in (detected by GPS) and check-out (when the drivers mark visits on their phones). 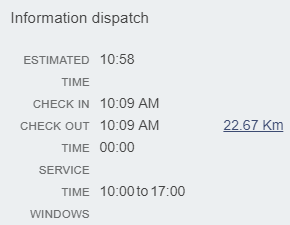 This service time was not necessarily accurate, as drivers do not always record the visit at the delivery location! Now, service time ranges from the check-in time and the departure time, both detected by GPS around the virtual perimeter where the delivery point is located . 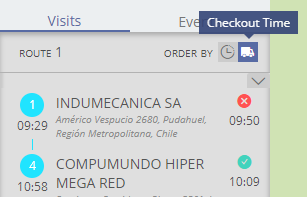 Check-in times were added to the information windows of each visit in the Tracking module. Display of the drops order by estimated arrival time or by checkout time. Now you'll know if your drivers follow the scheduled route order. Now Service Time will be calculated based on GPS data from phones, and not on the time your drivers mark the stops complete/incomplete. Now in Tracking you'll see if your drivers are running behind your clients' schedule. An orange clock will appear next to the drops.